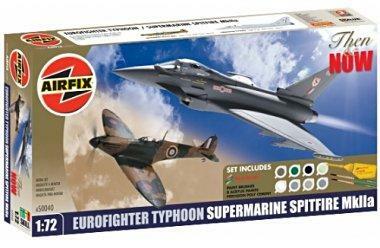 Airfix introduced this year 2 new ranges "Starter Set and Gift Set". These are ideal for your childs first model kit and then allows them to easily move to the 2nd or 3rd model. Designed to be built by themselves, but some of Dad's help, could be useful. Each set is complete with paint, glue and brushes, and is ready to go.